GetDivorcePapers.com provides professionally completed, 100% court-approval, money-back guaranteed Missouri divorce forms. Just create an account, complete the interview, and file for divorce. Our case managers do all the work for you, and send the completed Missouri divorce forms when they are ready to be filed. At least one of the petitioners for divorce must have been a resident of Missouri for three months. Divorce should be filed in the county where the person lives who is filing the case. The state of Missouri has only one reason for divorce, and that is that the marriage has been broken beyond repair and there is no chance of resolution. Age of the child, his health and preference. Financial situations of both parents. Wishes of the parents, parenting plans and willingness to perform obligations. Child's relationship with parents, siblings, relatives, school, home and community. Parent's view towards meetings and continued relationship of child with other parent. Intentions or plans of either or both parents to relocate. Domestic abuse by either parent will automatically give other parent custody, and no further thought will be given. The state of Missouri dictates that both parents are to be encouraged towards making joint decision making for the child's welfare. 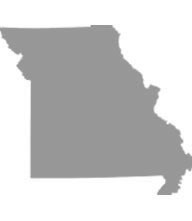 As Missouri is a state of equitable distribution, both partners will retain any property, gifts, inheritances that were acquired before the marriage. Any other property acquired during the marriage will be divided on the basis of factors like contribution of each partner towards the purchase of the property, value of each spouses' individually held property, conduct of spouses during marriage and divorce proceedings, involvement of children and preference to giving property to spouse with custodial rights and any other necessary factor. Age and health of the spouses. Financial conditions of the spouses, of the one seeking alimony and of the one to pay the alimony. Time needed to acquire sufficient vocational skills so they can earn for themselves. Duration of the marriage and established style of living, as well as behavior of both spouses during marriage. The financial resources and needs of the child. A parent may be required to provide health insurance coverage for any children if such coverage is available at a reasonable cost from an employer, union, or other organization. There are official child support guidelines contained in the statute which are presumed to be correct unless shown to be unjust or inappropriate under the particular circumstances of the case. The court may order the payments to be made through the circuit clerk. [Annotated Missouri Statutes; Title 30, Chapter 452, Sections 340 and 345]. Meditation is referred to in cases where children are concerned, apart from those situations where the child has suffered any form of physical abuse. There is no need of a lawyer when applying for divorce in the state of Missouri. A divorce case which is filed without any help of an attorney in any of the states is known as Pro Se Divorce. Literally, Pro Se is a Latin phrase and it means "on her or his own". Process of getting the divorce without the help of lawyer may vary from one State to another. These types of divorces are perfectly legal and enforceable in Missouri, and are actually very convenient. Usually, once settlements have been made regarding property distribution and custody matters among the spouses in case of a mutual divorce, Pro Se Divorces are filed.